The opening moments of Suffield Players’ "Night Sky" transforms the theater into a galaxy of stars causing an audible gasp from the audience. What follows is a well crafted two hours of entertainment that allows each of the cast members to shine. Director Chris Rohmann weaves together the subtle story lines about relationships and communication, despair and inspiration. Susan Yankowitz’ 1991 play about an astronomer who has an accident that results in aphasia, a traumatic brain injury that makes verbal communication challenging, is sometimes played to twist the audience’s emotions toward the inevitable conclusion, but this production finds greater nuance in the relationships and is not afraid to establish scenes that show the humor of the human dilemma. When Anna, played by Virginia Wolf, is struggling with regaining her verbal abilities, another patient, played by Shaun O’Keefe, provides a counterpoint to the words themselves. 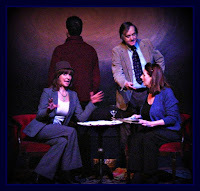 This scene effectively makes the most of the performers’ abilities on two levels; the actors breathe life into the script with excellent comic timing, creating a connection with the audience that is both uniting and compassionate. We’re left with questions to ponder; if we couldn’t communicate, how would we find meaning in life? Metaphors of family, aging, and resilience abound in the script. 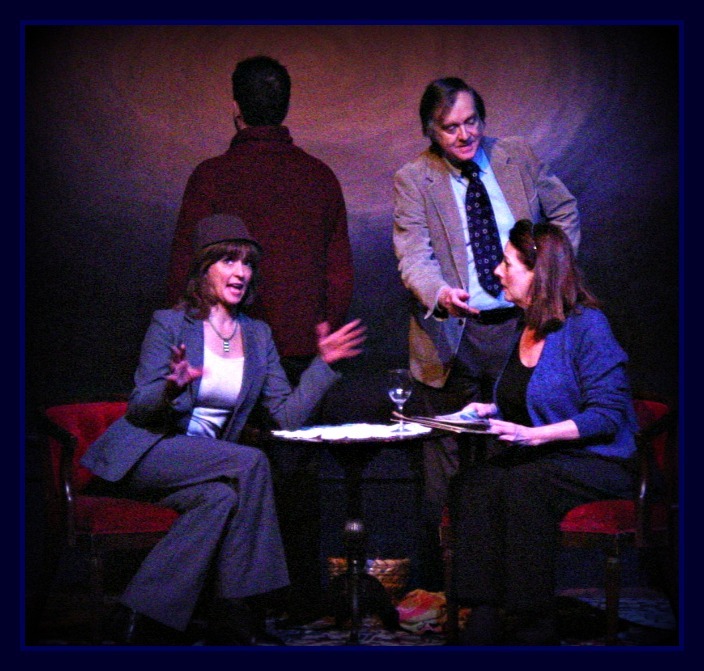 In addition to Wolf and O’Keefe, Emery Henderson as Anna’s daughter, Brian Rucci as Anna’s boyfriend, Karen Balaska, as the speech therapist, and Dana Ring as Anna’s university colleague, Bill, are all “giving” actors who perform as an ensemble. Each commits to his/her role and are not afraid to show vulnerability. Director Rohmann’s clever sound design, Jerry Zalewski’s lighting, and Konrad Rogowski and Kelly Seip’s set design are perfect for the intimate stage and theater, and a first-rate production crew keeps the interwoven elements tight and well paced. “Night Sky” is Suffield Players’ 150th production, and all involved can take pride in the group’s reputation for first-rate entertainment.